The majority of energy efficient home improvements installed in the UK have been funded by the Energy Company Obligation, with newly published figures from the Department of Energy and Climate Change revealling that the scheme has been responsible for carrying out more than 300,000 measures. Thanks to ECO, Cash Back and Green Deal schemes, around 273,000 properties are now more energy efficient, with 311,250 energy saving measures implemented. But the Energy Company Obligation is clearly the big winner, with the scheme accounting for a whopping 98%. 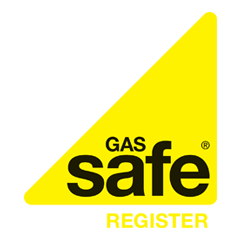 Eligible households on qualifying benefits can get help to upgrade their heating systems by installing a free A-rated energy saving new gas boiler replacement. Other measures installed for free include loft and cavity wall insulation. Together, they make up the most popular of all home improvements. The scheme was introduced to target society’s most vulnerable, including pensioners and fuel poor households, who live in poorly heated and insulated homes to help them benefit from energy saving measures to lower their energy bills permanently. However, the popularity of the ECO scheme means it may now be at risk, with speculation mounting that the Government may be about to cut support as part of the Prime Minister’s green levies review, which is set to reduce support available for green energy. Cuts are deemed to be necessary in order to address the problem of escalating fuel bills. But cutting ECO support would be a big blow to energy consumers struggling to heat their homes efficiently. The insulation industry has already warned that over 10,000 jobs would be at threat if the Government was to cut the financial support, while the Association for Conservation of Energy claims up to 30,000 jobs would be at risk. Even the Government’s fuel poverty adviser has said it would be “unforgivable” to cut ECO support. DECC’s figures also reveal that Green Deal assessments have now hit the 100,000 mark. Latest figures show that since September 16,674 assessments have been carried out; a 19% increase on figures for September. Yet compared to the ECO scheme the Green Deal is a bit of a damp squib. Aimed at retrofitting around 14 million of the UK’s old and poorly insulated homes, to date just 219 households have so far benefitted from the scheme with live Green Deal plans in place. The Prime Minister is expected to announce changes to green levies on 5 December.